Rick Wolf was a home brewer, and a pretty good one at that. So good that his friends would hang around his house and help him brew along with enjoying the fruits of their labor every weekend. “Then it just spiraled out of control” he recalls. “My mother couldn’t stand the smell of brewing, and I was exiled out to the horse barn” (the 12th Stable in fact). “At one point I just said, are we really going to do this?” and he and his buddies put together the idea of the Stable 12 brewery. Now open for more than a year in their Phoenixville location on Bridge St, it wan’t easy to fulfill their dream without outside investment. “No bank would work with us back then, and now they are all coming in the door. But I won’t talk to them, I guess I have a chip on my shoulder”. While they have a “stable” of solid favorite brews, they’d like to change it up even more for the regulars who keep coming back – but it’s hard for a brewery of their size to get many of the hottest hop varieties and some of the other special ingredients. “I just have to keep looking for something new” says Rick as he points to his open laptop on the bar. 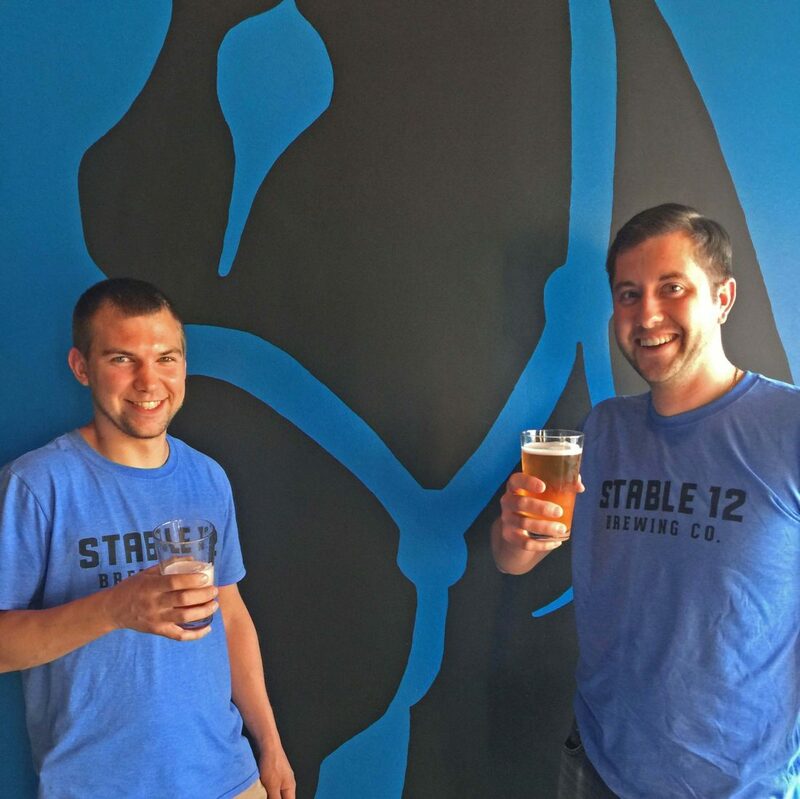 Stable 12 has one employee, the brewer, and the guys and gals who work at the brew pub all still have their day jobs. It helps that Rick’s day job is a sanitation inspector – keeping things clean and sanitized is key for a brewery. But, even working two jobs Rick admits “I am enjoying every minute, living the dream”. But currently that dream doesn’t include him doing any actual brewing. “I’d like to come in and brew, and I only get around to it maybe three weekends a year – there’s just too much else to do right now. 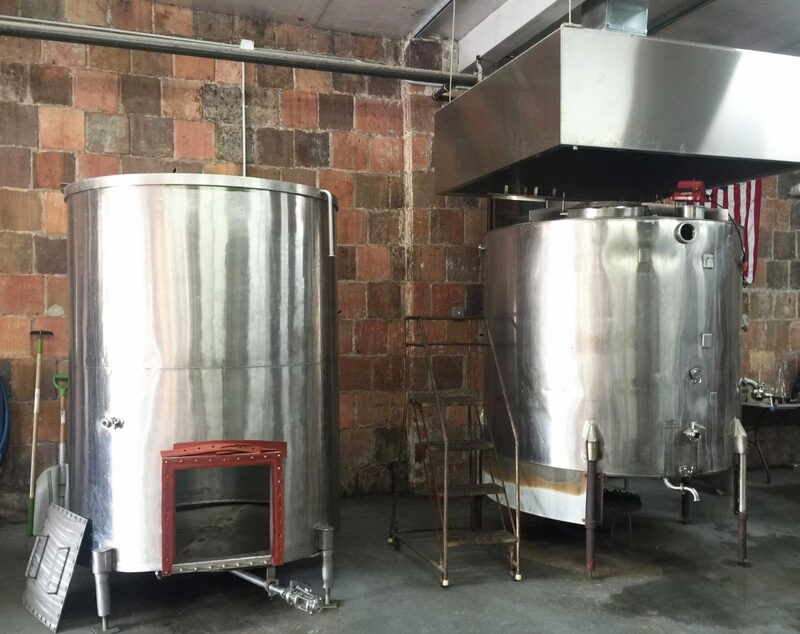 But, we made it a year, and we were able to add a kitchen and another fermentor, and that’s pretty darn good”. And the beer is pretty darn good too. When I was there I sampled (in pint samples of course) their Anniversary Session IPA – a solid brew at 4.9% – which celebrates their first full year in business, and their Imperial Amber which at 7.9% abv is a serious beer, but tasted surprisingly balanced and fresh. 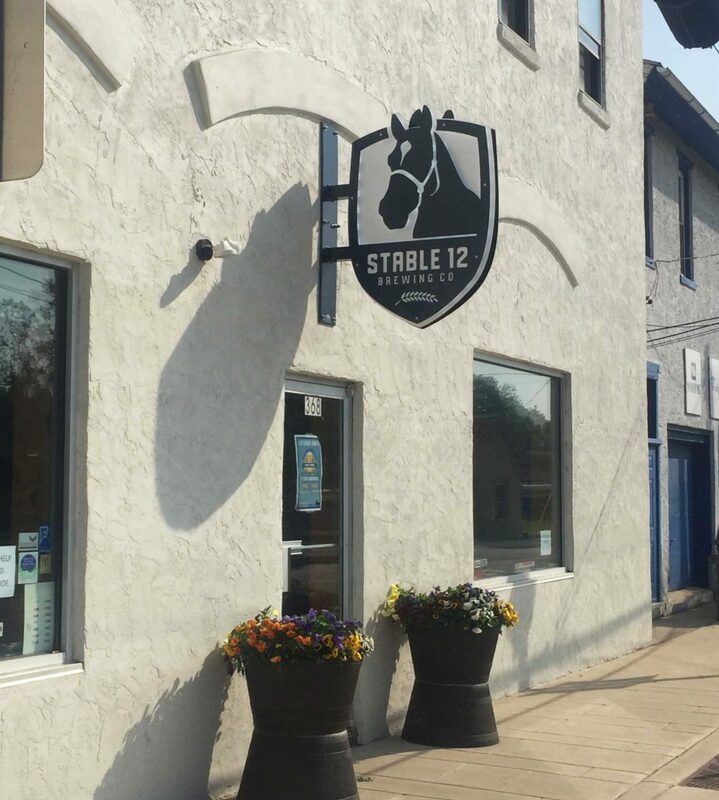 So, if you are in the Phoenixville area, by all means don’t just think of Iron Hill for fresh made beer – check out Stable 12 a bit further down the road, and celebrate good local beer made by good local guys (and gals) who did it the hard way – and quaff a pint to help them grow their dream.